To make the topping heat the brown sugar and 2 T. of butter in a small saucepan. Cook until the butter melts and sugar dissolves. Spray a 9" cake pan with cooking spray, and then pour the sugar and butter mixture into the pan to coat the bottom. Add the blueberries in a single layer on top of the sugar and butter mixture. Separate the egg whites and yolks. Beat the egg whites at high speed until stiff peaks form. Pour the egg whites out and set aside for later. Then cream the sugar and 1/2 c. butter until well blended. Add the egg yolks and beat well, and then mix in the vanilla. Combine the flour with the baking powder and salt and mix. Add the flour alternately to the batter with the milk. Fold the egg whites into the batter. Pour into the cake pan and spread evenly. The batter will be very thick, much thicker than a regular cake batter. Bake for 55-60 minutes until the center is cooked. 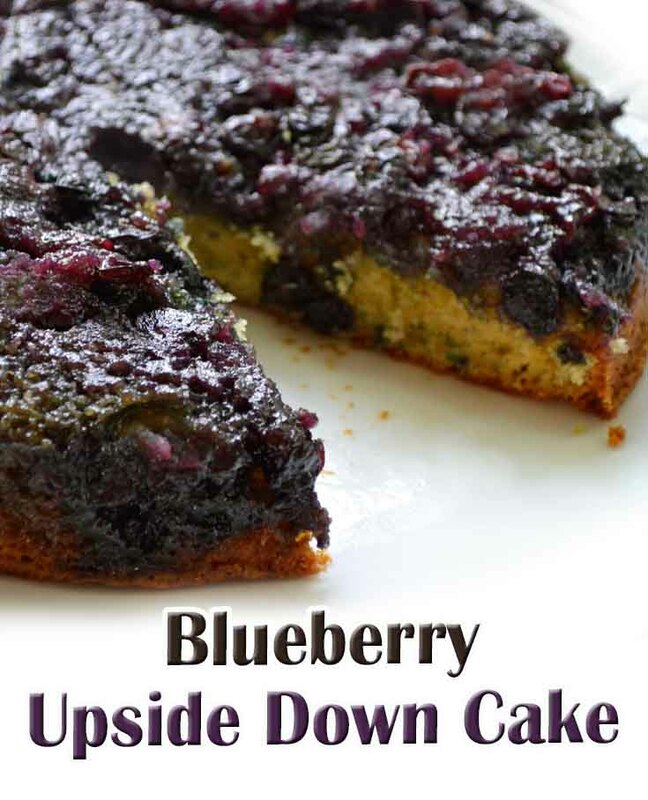 Cool the cake in the pan for 15 minutes, then flip the cake upside down onto a serving platter, but leave the cake pan on top of the cake for another 5-10 minutes to let the blueberries soak in.